Privileged Attorney-Client Communication United States – European Union Transatlantic Trade and Investment Partnership. 3 Privileged Attorney-Client Communication Modest Optimism By the Numbers Annual GDP gains: $154 billion vs. $123 billion Export gains: 28% vs. 8% Global income boost: $130 billion The hard part? 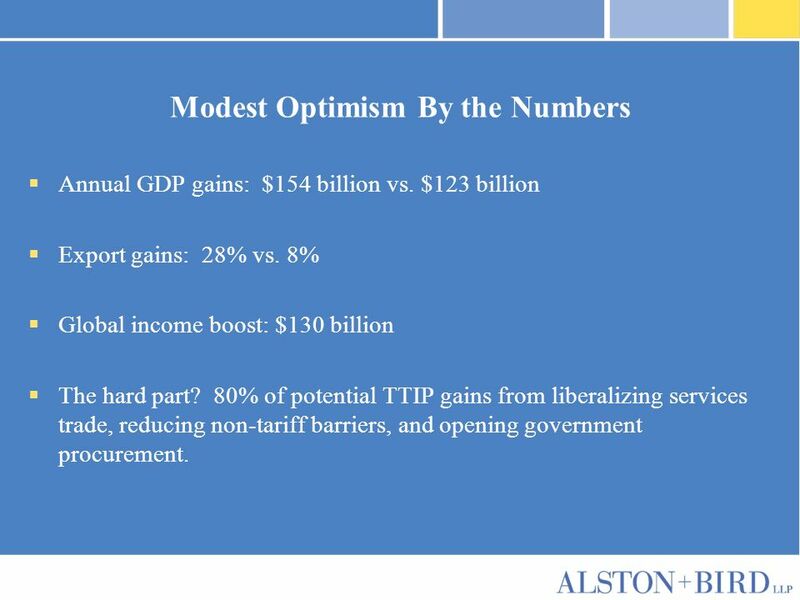 80% of potential TTIP gains from liberalizing services trade, reducing non-tariff barriers, and opening government procurement. 6 Privileged Attorney-Client Communication Regulatory Cooperation – TTIPs Negative Sum Game Whats in a name? Regulatory Cooperation HarmonizationReform Mutual recognition Convergence Issues & Sectors Customs Administration Technical Barriers to Trade Sanitary and Phytosanitary Measures Rule-making transparency Services eligibility Banking and financial E-commerce Healthcare & Pharmaceuticals * A catch-all meant to capture the universe of non-tariff barriers – will it really be comprehensive? 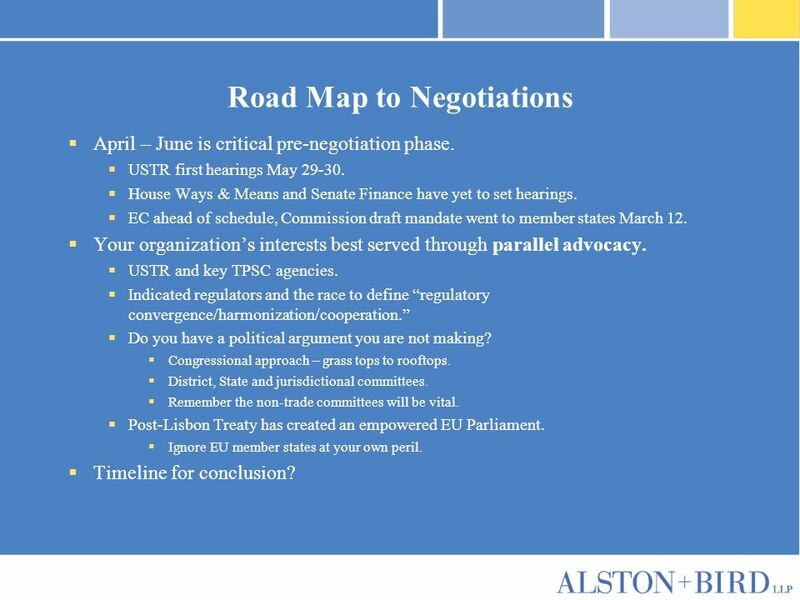 10 Privileged Attorney-Client Communication Road Map to Negotiations April – June is critical pre-negotiation phase. 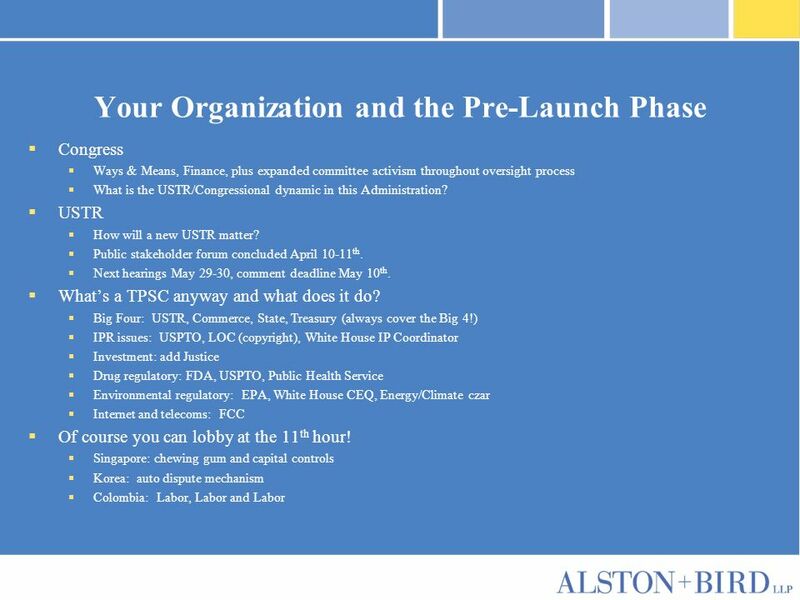 USTR first hearings May 29-30. House Ways & Means and Senate Finance have yet to set hearings. 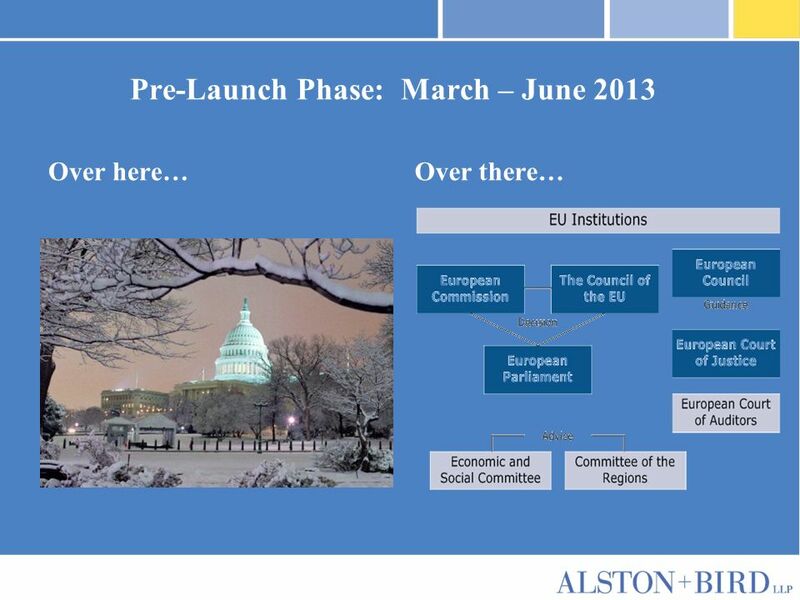 EC ahead of schedule, Commission draft mandate went to member states March 12. Your organizations interests best served through parallel advocacy. USTR and key TPSC agencies. 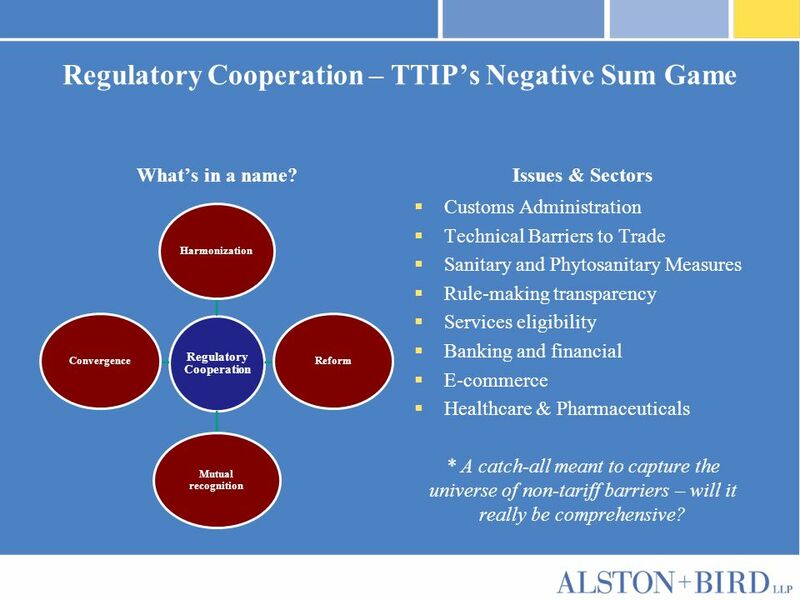 Indicated regulators and the race to define regulatory convergence/harmonization/cooperation. Do you have a political argument you are not making? Congressional approach – grass tops to rooftops. District, State and jurisdictional committees. Remember the non-trade committees will be vital. Post-Lisbon Treaty has created an empowered EU Parliament. Ignore EU member states at your own peril. Timeline for conclusion? 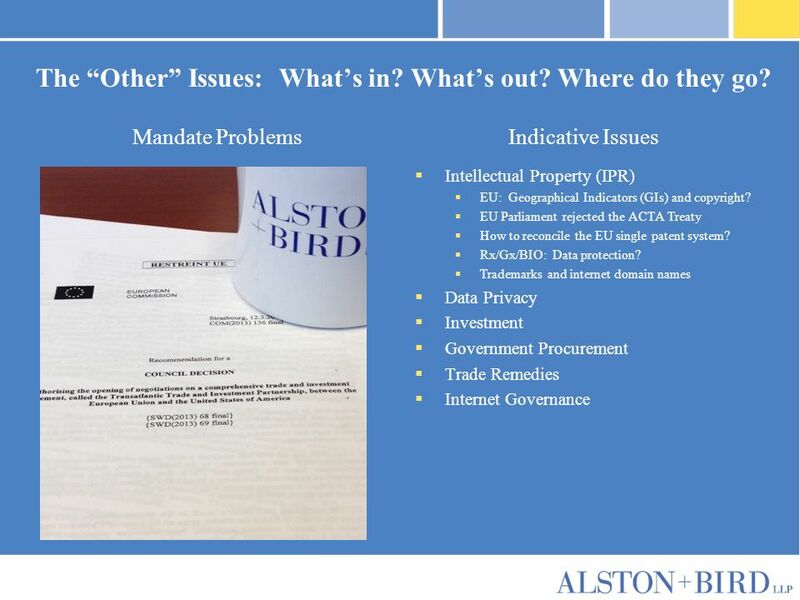 Download ppt "Privileged Attorney-Client Communication United States – European Union Transatlantic Trade and Investment Partnership." 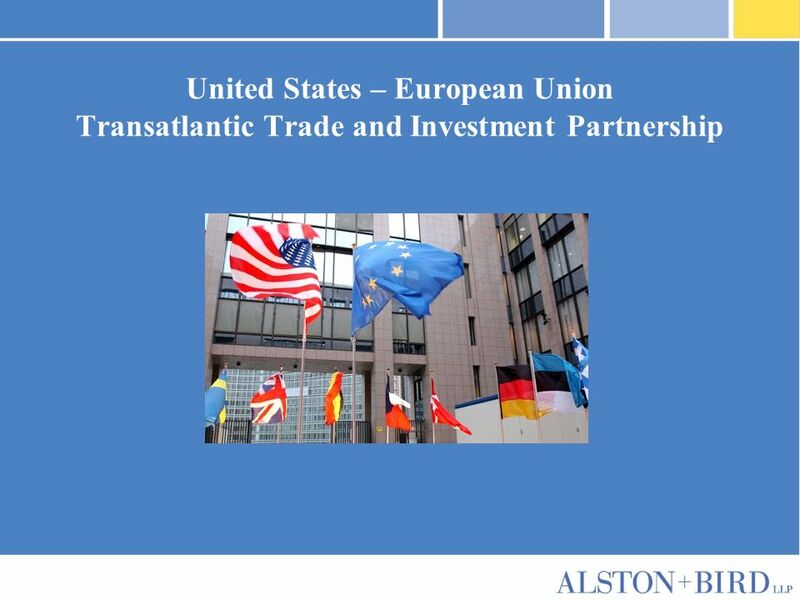 U.S. AND E.U. 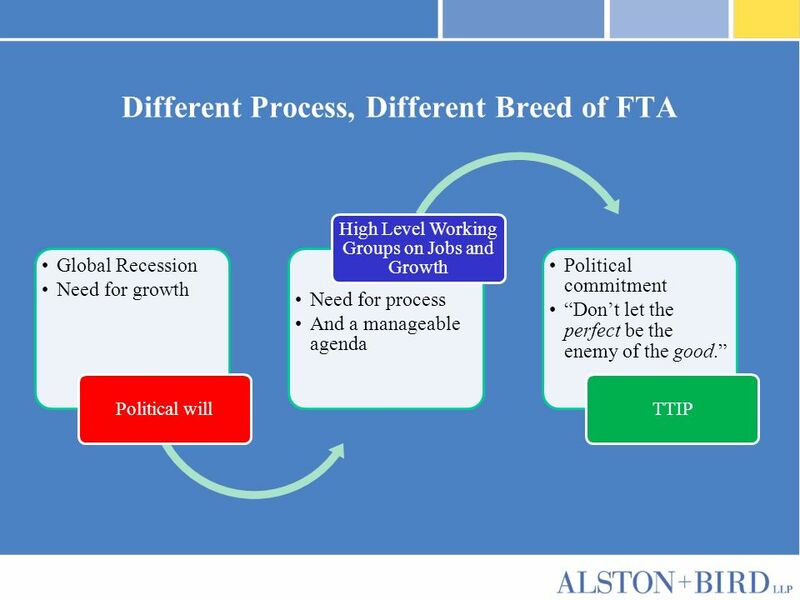 FTA POSSIBILITY OR PIPEDREAM?. 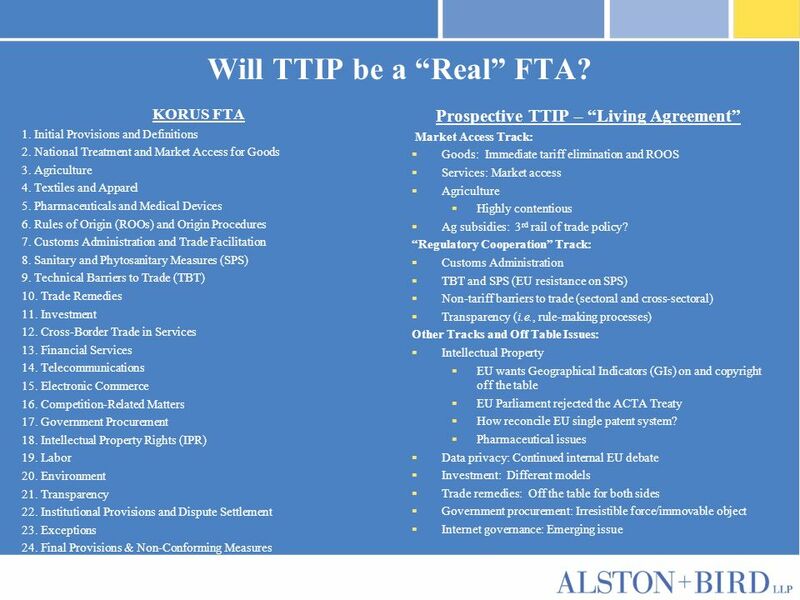 OVERVIEW -United States and the European Union -Why FTA? 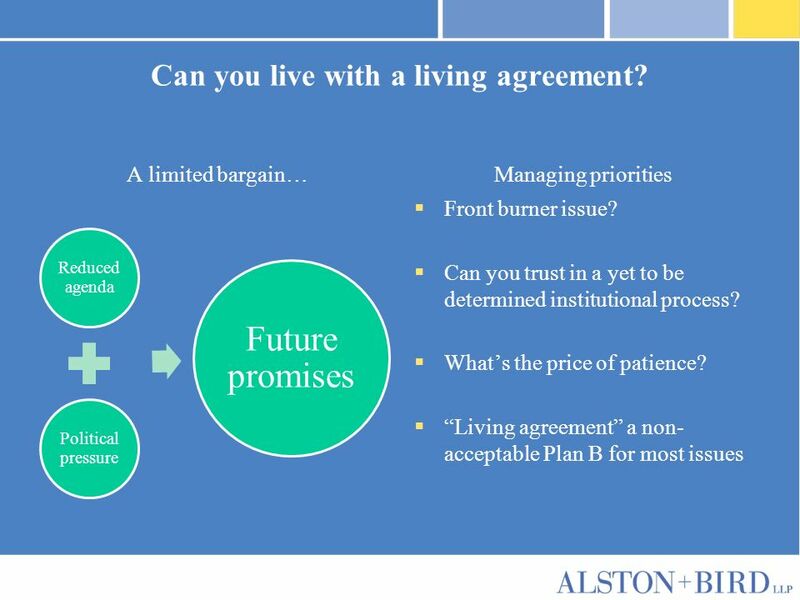 -Hurdles to a deal -State of the Union -Conclusion. US-EU Regulatory Cooperation Approaches and Experiences Jim Sanford, Office of the U.S. Trade Representative (USTR) Simon Holland, European Commission. Report on the State of the single market integration 2013 Meeting of the Committee on the Internal Market and Consumer Protection, European Parliament. 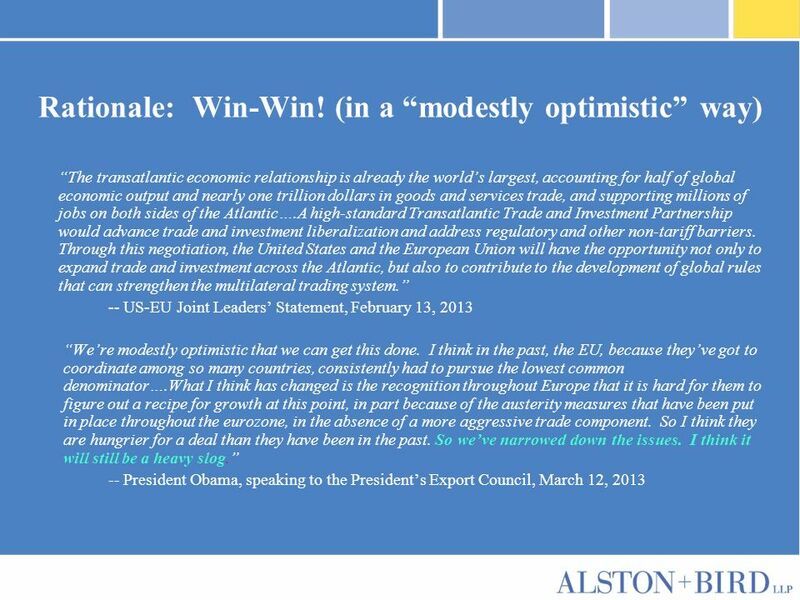 1 U.S. and the WTO: overview Washington, DC, February 13, 2012. www.regfortrade.ru.